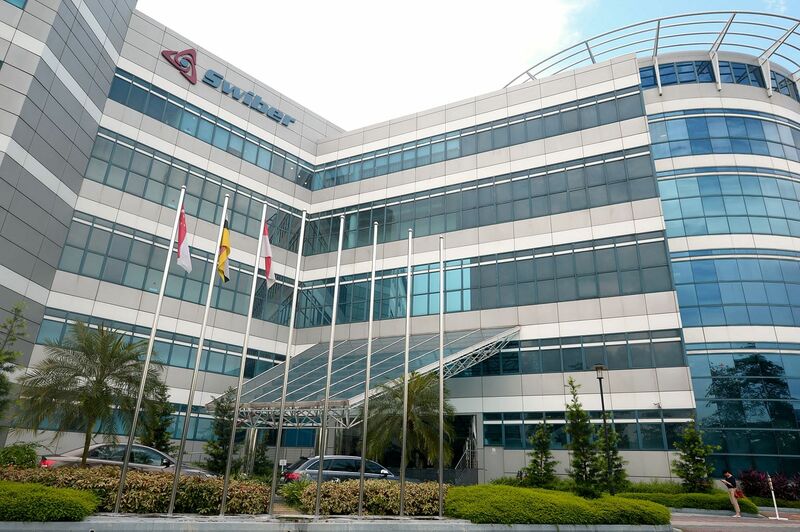 The recent financial debacle of Swiber Holdings, an SGX-listed contractor for offshore oil and gas field development, underscores the deep weakness of the energy industry that has been well reported. Less well-known is that Swiber, the oil and gas industry, and even the national economies of oil-exporting countries have been disrupted by a disruptive technology called advanced fracking that enables the extraction of shale hydrocarbons at "rock bottom" prices. Using horizontal drilling and hydraulic fracturing techniques, advanced fracking unlocked plentiful new supply in the United States which, in tandem with expanded traditional sources (most notably in Libya and Iran) and more efficient renewable energy technologies, caused the global crude oil price to plummet from US$100 a barrel to the new normal of US$50. As a result, the whole energy sector has been heavily battered. According to Bloomberg, 157 energy companies listed in the MSCI World Energy Sector Index lost US$1.3 trillion in combined market value between June 2014 and August last year. During the same period, roughly a third of Exxon Mobil's value was sliced off from its market capitalisation. Local marine and offshore giants, Sembcorp Marine and Keppel Corporation, were not spared in the carnage, registering huge plunges in book orders, revenue and profitability. Crucially, the longstanding status quo in the international market equilibrium, geopolitical power dynamics and wealth transfer between producing and consuming countries has been upset. Under the new rules of the game, any cutbacks by the Organisation of Petroleum Exporting Countries (Opec) will simply be filled by increasing output by the nimbler shale producers. Saudi Arabia's significantly weakened ability to influence the price through its own production swings has forced its hand into keeping output high in order to protect market share against the low-cost disruptors. It's a case of "if you can't beat them, join them". This supply glut is causing deep budget deficits and hurting economic growth in major oil-dependent exporters, especially in the Middle East, Central Asia, Africa, and East Europe, while giving a welcome relief to importing countries facing the prospects of lacklustre growth. A Bank of America Merrill Lynch analyst estimates that a sustained price plunge "will push back US$3 trillion (S$4 trillion) a year from oil producers to global consumers, setting the stage for one of the largest transfers of wealth in human history". If this persists, many petro-states will be forced to curb public spending and social welfare, stoking the risks of civil unrest and internal strife. The implications on international relations are no less dramatic. Within merely a few years, the geopolitical landscape in the Middle East has been redrawn. Last year, the US overtook Saudi Arabia as the world's largest oil producer. Its output grew by an incredible 74 per cent from 5.1 million barrels per day in January 2009 to 8.9 million bpd in April last year, with fracking now accounting for half of its oil output. Against this backdrop, the prospect of a post-US Middle East is hardly surprising and almost inevitable. It is not difficult to link, at least indirectly, the current affairs in the region to this strategic withdrawal of the US. The protracted Syrian civil war, the aggressive rise of the Islamic State in Iraq and Syria, the ensuing disintegration of Iraq, the heightened sectarian clashes and the shock absorption of Iran back into the global system have plagued the region in the last five years. What fracking has done to oil and gas, and to Middle East geopolitics, is merely one example of the widespread effects and game-changing nature of certain disruptive technologies. In the 21st century, technology has become the ultimate game changer; whenever it leaps forward, seismic effects can be released and cascaded across the political, business, economic and social dimensions, often with unintended consequences. Within the next decade or so, I expect intelligent technologies to create the same domino effect on businesses, industries and economies, but on an even more epic proportion and expansive scope. Just ahead of us is a "Cambrian explosion" of intelligent non-life forms, from robo-advisers, chatbots, medical tricorders, emotion recognition scanners, self-driving vehicles, eldercare bots, automated news writers, street delivery drones, digital scientific researchers and law enforcement robots, to Jarvis-like personal assistants. Imagine the disruptive effects if these can perform the same work of humans at 50 per cent, 25 per cent, 5 per cent and eventually 1 per cent of the cost. These intelligent technologies will be a cheaper, and eventually better performing, substitute to human resources. They threaten to disrupt trillion-dollar industries (such as manufacturing, transportation, logistics, finance, agriculture, healthcare, defence, entertainment and education) and modernise them into hyper-lean, ultra-intelligent versions of the old. The disruption of energy resources is in full swing. Be warned that the disruption of human resources is next and this time, few businesses, industries and countries will be spared. The writer is a business futurist, and former trade diplomat. He is the founding president of The Innovators Institute, an innovation company based in Singapore.